“Well here at Kirkmont we’ve finished up a series before today’s message on small groups and the whole idea of “Going Small to Grow Big”, and the power of small groups. And many of you know next week we’re starting a new series called, The Prodigal God… so I was thinking, “What are gonna do with this morning, what are we going to do with this Sunday… it’s like what pastors call the ‘Filler Sunday’, what are we going to talk about? A one-time sermon. And I was thinking, ya know it happened to be that this Filler Sunday landed on a communion Sunday, and so often here at the church as in many churches, our Sunday morning schedules are so busy that we have to get everything, get everything done and, “Oh by-the-way it’s time to do communion” also. And I thought, ya know, wouldn’t it be nice if we just take the time to look at the Word of God and see what it has to say about The Lord’s Supper together this morning. So I want to talk to you about TABLE MANNERS (Laughter)… but I don’t want to talk to you about those kind of table manners, not things like which side does your fork go on, and your spoon go on; or whether or not your elbow should be on the table. 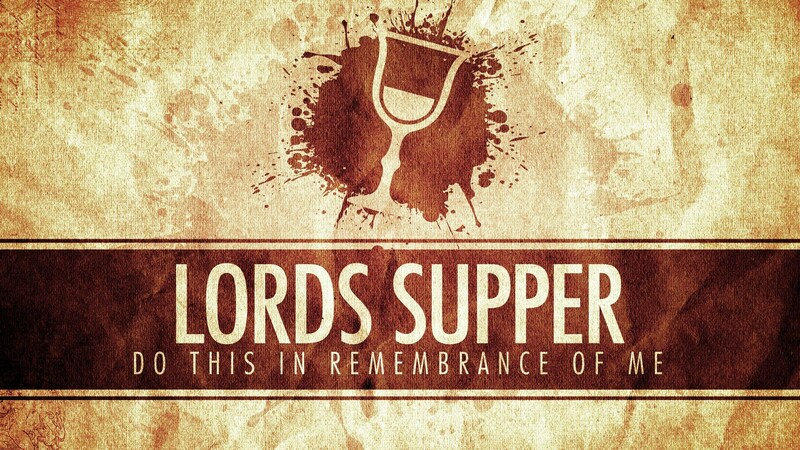 One we talk about sometimes is whether you should talk with your mouth full and you know, those types of things… not that type of table manners; but I want to talk to you about what state of our HEARTS and our MINDS… where should we be at there when we come to the Lord’s Supper together.